Crisp Mornings, Pumpkin Spice Lattes and Tire Pressure Lights! Here in North Carolina we woke up to a surprisingly crisp morning. Fall came in like wrecking ball, as Miley would say. So, I shouldn’t have been surprised to that my tire pressure monitoring light was on. Why does the weather play a role in your tire pressure? Did you know that hot weather is more likely to may make your tires over inflated and cold weather may cause your tires to be hazardously under-inflated? Newer cars (mostly after 2000) have a tire pressure monitoring system (TPMS) built in for each wheel that constantly measures the inflation of that tire. 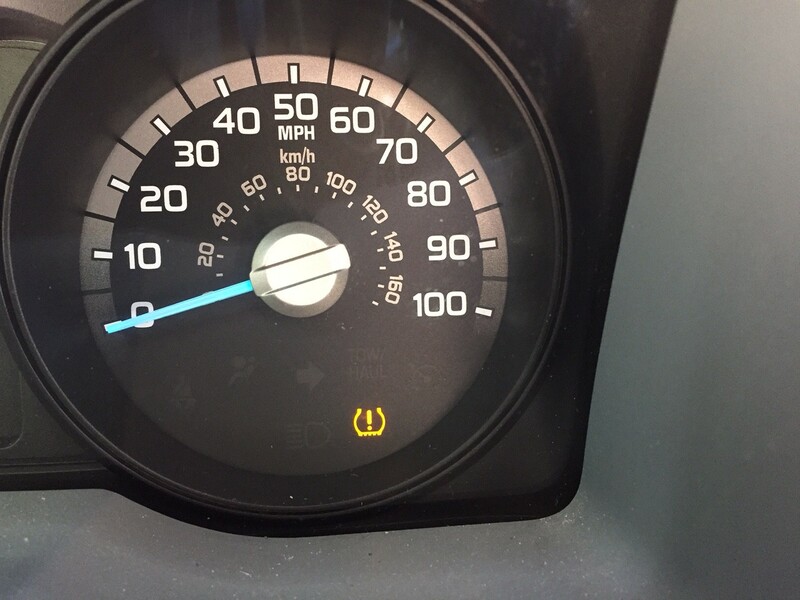 You can read an earlier blog about TPMS and see a video on changing tires with them. When your tires differ from the recommended inflation pressure, your TPMS will activate and the light will come on, informing you to check the PSI in your tires. If your tire pressure has been set during the hot summer months, the first major cold wave will cause the air to contract inside your tire, lowering the pressure, thus setting off your TPMS. 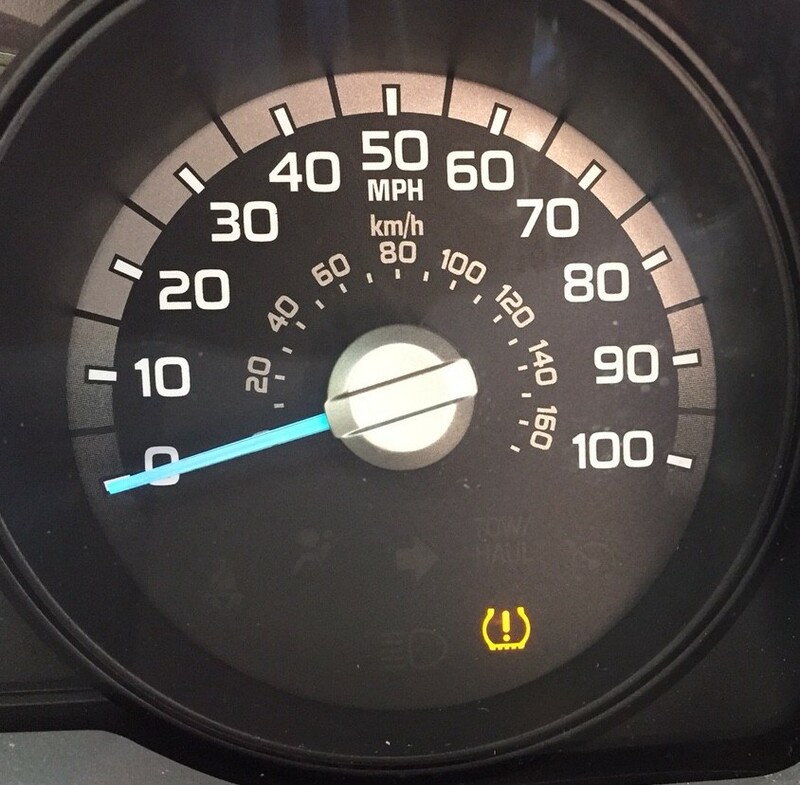 According to a study conducted by TPMS sensor maker Schrader International Inc., many drivers still can’t identify the tire pressure monitoring system (TPMS) warning symbol on their vehicle’s dashboard. This study also found some other interesting facts about tire pressure, click here to see the results. 1. Only 15% of car owners properly check their tire pressure. Don’t be one of them. Check your tire pressure monthly. Don’t wait for the light to come on. Carry a tire gauge in your glove box, and check your tires once a month. Do this in the morning, when tires are cold. 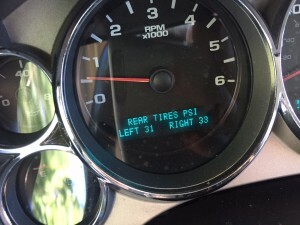 During this time, make sure all tires are at the PSI indicated in your manual. 2. As you drive, the friction will allow the tires to heat up, increasing the pressure. If you check your tire pressure after driving, you may have an inaccurate high-pressure reading. According to https://www.accuweather.com, most tires can handle higher pressures resulting from driving and in hot weather, provided they were set at the “correct” pressure when it was cold. 3. If your TPMS light comes on, immediately check your tire inflation. You can also have a dealer or a mechanic check it for you. The light should go off once your tires reach the proper PSI, but check your manual as there may be a reset procedure to follow. A June 2012 study by the Rubber Manufacturers Association reports that more than 80 percent of vehicles on our highways have at least one under inflated tire, which can reduce safety and handling, raise your fuel consumption, and can wears out the tires faster costing you money. Cars have warning lights because it’s important. I’m going to repeat that, Cars have warning lights because it’s important. A car is something that needs to be maintained and up-to-date on all maintenance work in order to keep you safe and the car in good condition. Running on under-inflated tires will affect gas mileage and will substantially increase the wear on the tire. The biggest safety issue is that it can result in dangerous handling. Increased friction created while driving on under-inflated tires will cause tires to overheat and increase the risk of a blowout. Remember the Goodyear accidents from under-inflated tires? So, now that my tires are at a safe pressure …. WELCOME FALL AND WARM COFFEE DRINKS! Have a great Monday! Previous Previous post: It’s an Eagle Lift …. or is it? Next Next post: GET A SHIPPING QUOTE ON YOUR EAGLE PRODUCT … Instantly!